Getting dental x-rays is a confusing process full of questions such as, “Is this radiation safe for my teeth?”, “Why do I need so many x-rays from so many different angles?”, and “What are you really looking for?” Rest assured, getting routine x-rays are a safe and helpful way to uncover deep-rooted dental problems that might be hidden to the naked eye. Is the radiation safe for my teeth? Yes! Dental x-rays are one of the lowest radiation dose exams in comparison to other imaging procedures. Along with leaded covering protection, minimal radiation exposure occurs throughout the duration of multiple x-rays. 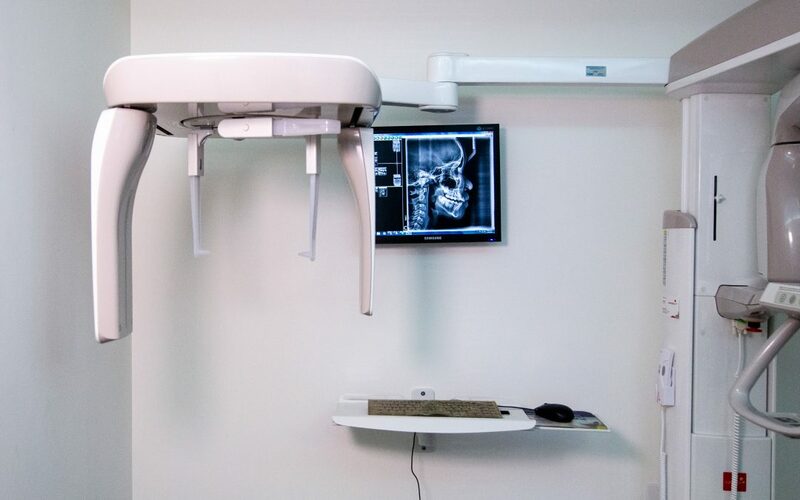 At our office, we use scanning digital x-rays which lowers the exposure to radiation even more. Why do I need so many x-rays from so many different angles? When you break a bone, you don’t want just a single x-ray from one perspective to guide the doctors on how the fix your arm. So as a dentist, I need more perspectives to decide on your care. By taking multiple x-rays, I am able to see a holistic picture of your teeth on, below, and underneath the gum surface. The three most common x-rays used in a dental office are bitewing, periapical and panoramic radiographs. Bitewings look for hidden decay between the back teeth. We mostly take these once a year. We can also take a preliminary look at the level of bone support to your teeth. Periapicals focus on only one or two teeth at a time that looks at the length of the tooth from the crown to the root. Full Mouth X-Ray Series is a combination of bitewings and periapicals of all the teeth: back, front, upper, lower. This series is invaluable to a thorough diagnosis and complete treatment plan for the new patient. The full mouth series can also reveal lurking problems for the established patient. We take a full mouth series about every 5 to 7 years on adults. Panoramics show all of the teeth, both top and bottom, in one image. It also captures a broad view of the jaws. This can pick up disease processes in the jaws and impactions, such as wisdom teeth. Bottom line, X-Rays are valuable diagnostic tools that helps me look for below-the-surface and under-the-enamel issues within teeth. By identifying these foundational issues before they become visible, further complications are stopped before they start. Common issues found include impacted wisdom teeth, abscesses, the relationship between teeth and their jaw, face structure, and the roots of the teeth. Contact Dr. Drew and Crew for further questions and/or to schedule a routine appointment today!